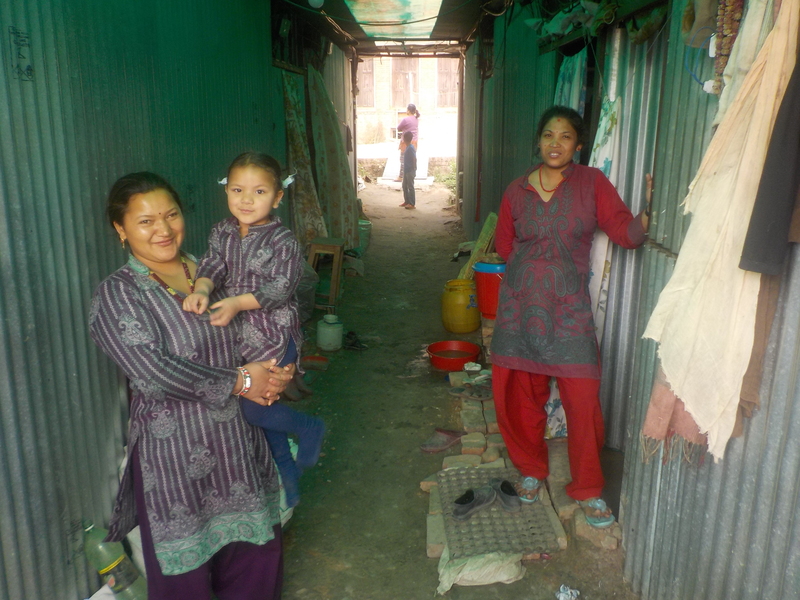 Visit to Kathmandu March 2016 – Update – Projekt Nepal e.V. Our visit to Nepal earlier this year initially appeared to have been very successful. During our time there we visited the shelters that were built last year to provide accommodation for victims of the earthquake. Moreover we managed to negotiate a contract to buildthe long-planned toilet facilities at Jana Sudhar Lower Secondary School, construction of which commenced immediately. Shortly after arriving home we were shocked to hear that the Chairman of the school had ordered the building work to be stopped. He stated that this decision had been made because he expected the District Education Office to award the school a large sum of money which would mean that the toilet facilities would have to be built somewhere else. Of course we would be very glad if this funding were to be realised, but this new situation raises the question of how Projekt Nepal should proceed in the short term. For the last few weeks we have been waiting to see if these funds materialize but, unfortunately, up until now it does not appear that they have.